Mr. Q. Have you tried oiling it? 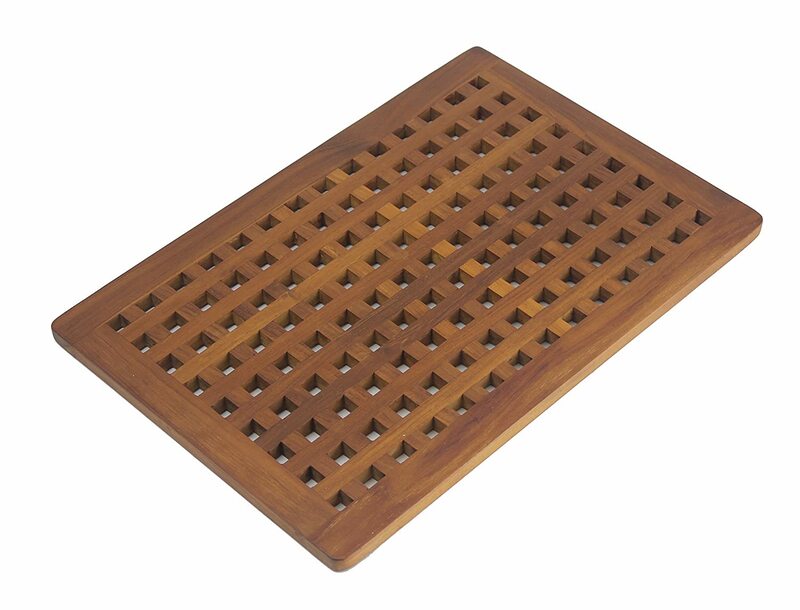 Ours is made of Red Cedar, four loose small grates, set in a cedar frame. It was doing something similar. I realized some/many of the joints were opening as the glue aged. I knocked them completely apart, cleaned all the old glue out of the joints, and epoxied it all back together. I wetted the joint wood letting it set, absorb for several minutes, then used my thickened epoxy to fill any gaps. The four grates and the frame are NOT glued together so the grates are still loose. Just be carefull to not go overboard as some will squeeze out and will then need to be sanded, chiseled, scraped or planed off or it will show. The filler turns the epoxy white. Clean up any squeeze out immediately. Not all creaks stopped but the those appear only when the grates move in the frame or when the frame moves a bit on the head sole. +1 on C electric. It probably needs reglueing.